The following steps should be taken when assessing an unconscious adult casualty. 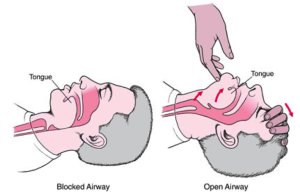 These actions may restore breathing or the casualty’s pulse. There are several mnemonics which can be used to help you remember these steps. We prefer the mnemonic DR ABC. Check the area for any dangers. Why is the casualty collapsed? Are there any dangers to yourself? If you do not get a response then the casualty is unconscious. Place one hand on the forehead and tilt the head backwards. Using two fingers lift the casualty’s chin. This technique is known as the ‘head tilt chin lift’ and is used to move the tongue away from the back of the throat. Place the side of your cheek over the casualty’s mouth. Look at the chest and listen/feel for breathing for a maximum of 10 seconds. You are checking for normal breathing. The occasional breath does not count as normal breathing (this is known as agonal breathing). If the casualty is not breathing normally then you should call for emergency medical assistance and a defibrillator. Then you should start Cardiopulmonary Resuscitation (CPR) to keep the brain alive. First deliver 30 chest compressions then 2 rescue breaths. Once a defibrillator arrives it should be used immediately. Continue CPR until the casualty shows signs of life or further medical help takes over. 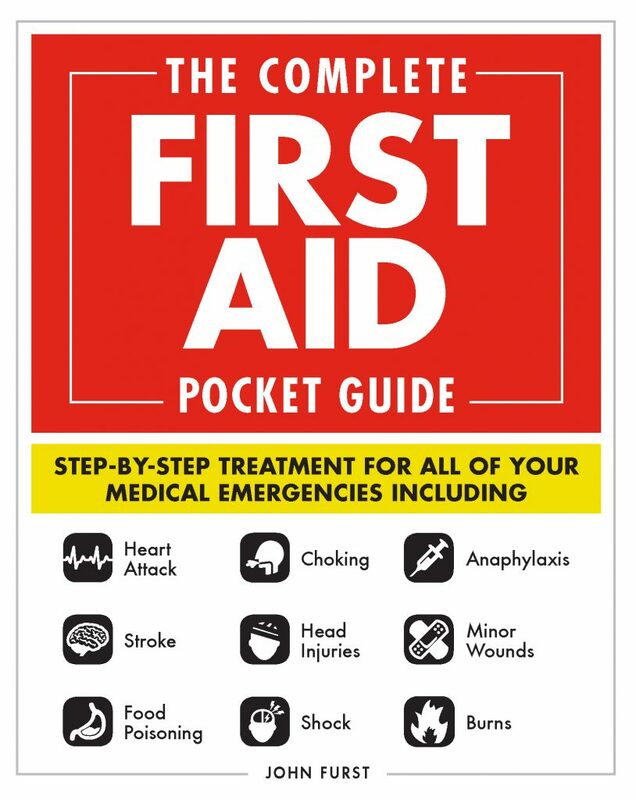 Free first aid guide – pick up your copy today! This is the meaning of extension services. Well done!